Serving the community for 25 years has allowed Emerald Youth to see many of Knoxville's youth go through our programs and develop into young adult leaders. This series will highlight their stories and their achievements. 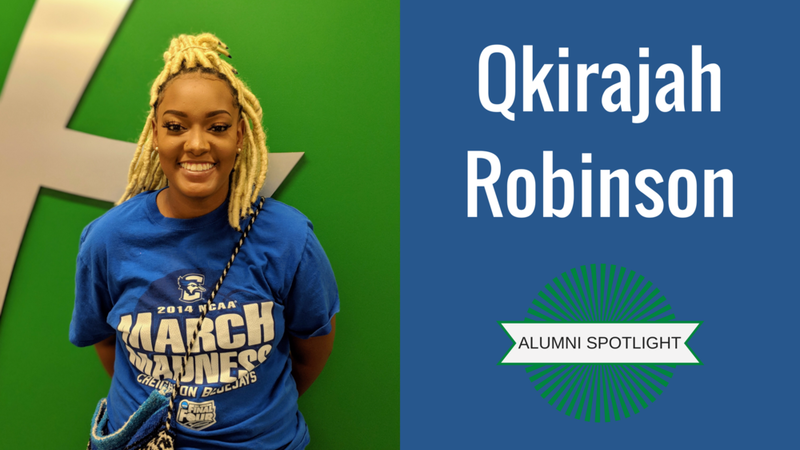 Qkirajah is an Austin-East graduate and was part of the Emerald Youth Fellows program. While at A-E, Qki (as her friends affectionately call her) was heavily involved in school activities, particularly dance, and as she was beginning to grow in leadership, her Project GRAD counselor suggested she look into the Emerald Youth Fellows program. For Qki, there are two major takeaways from her time with Emerald. One is the friends she made while in the program, many of whom she is still close with. The other is a heart for outreach that continues to this day. While on an Emerald Youth Fellows trip to Chicago, Qki particularly remembers a moment where she asked herself, "What can I do to give back?" Since then, she has not stopped asking that question no matter where she goes. Qki is now a senior at the University of Memphis and is passionate about evangelism. She joined a program at Memphis called Campus Outreach, which focuses on sharing the gospel and serving, such as providing food for the homeless, sponsoring children, or partnering with other local organizations to help meet community needs. She also interned with the Orlando Project, which provides opportunities for students to deepen their relationship with Jesus Christ through Bible study, scripture memorization, interacting with others and building Christ-like character. Because of Qki's hard work and leadership skills, she was asked to lead this year's program. Her job will be to strategically teach 60 girls the tools they need to work at Universal Studios, while maintaining and building Christ-like character. The girls then use those experiences and skills in their schools this fall. Additionally, Qki interned with the Memphis Grizzlies, serving in a program that helps kids develop healthy habits and teaches them how to use exercise to deal with trauma, effectively giving them an outlet that helps them deal with hard situations and make good decisions. Qki is grateful for the relationships she built through Emerald – it's a support system she can count on. She also treasured the trip to Chicago, which opened a door to help her realize she wants to make a difference everywhere. Most of all, Qki says Emerald Youth was the first place where she considered herself a leader, and that "...maybe I have the skills to go out and make change in the world." Emerald Youth Foundation is grateful for young adults like Qki who are realizing their God-given potential in Knoxville and beyond!